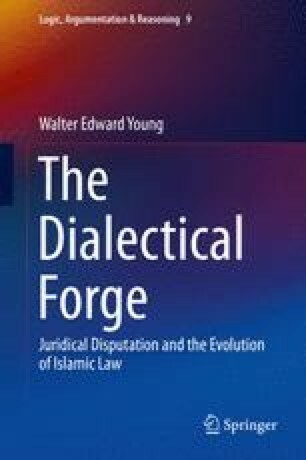 This chapter, “Evolutionary Narratives,” further contextualizes the study with outlines and critical assessments of certain developmental narratives for Islamic juridical dialectical theory (Sect. 2.1), putting to rest the notion that fifth/eleventh century jurists adopted and transformed a prior theological dialectic. It explores the dialectical qualities of the second/eighth century subject-text and its jurists (Sect. 2.2), with special consideration of an evinced “truth-seeking ethic;” and it draws focus to a new paradigm-narrative for the evolution of variant dialectical theory systems (Sect. 2.3).